It's safe to say that every song Ellie Goulding covers becomes an instant hit of her own. Between Elton John's "Your Song", Active Child's .. The holidays are upon us and as a gift to NYC, EARMILK, Cool Records, Mad Decent, and The Interstellar Pig have teamed up to give you this .. Recently, the lines between styles of dance music have evaporated. At any given performance/party, you may experience anything from 70-180 ..
To follow-up their Grab A Plate mixtape and their debut album, Breakfast both of which were released earlier this year, Philadelphia ..
Ellie Goulding needs little introduction. From the early days of gaining exposure through interactive youtube videos, her unique voice has had the ability ..
Off their debut album Breakfast, Chiddy x Xaphoon Jones aka Chiddy Bang released the visuals for their single "Mind Your Manners." Chiddy ..
Noah "Xaphoon Jones" Beresin, 1/2 of the producer/rapper duo Chiddy Bang, took to Twitter to deliver a crazy reworked mix of Rick Ross' Drake .. This is one of the most exciting collabs on a track I have seen in quite some time. Two artists who are going to break out big in 2012 both ..
Chiddy and Xaphoon Jones make up the tag team that is Chiddy Bang. 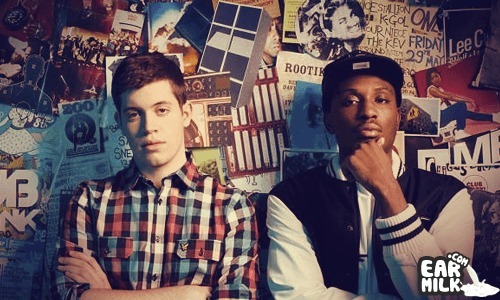 With only a couple weeks until their freshman studio album drops, they ..
Chiddy Bang is one of the hottest duos in the hip hop game these days, consisting of rapper Chiddy and producer Xaphoon Jones. They have been ..